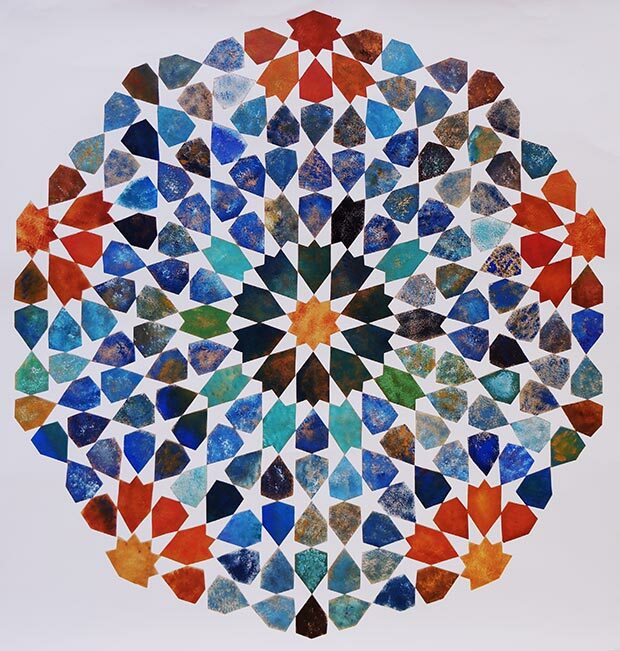 AN INTERVIEW WITH ADAM WILLIAMSON AND RICHARD HENRY, FOUNDERS OF ART OF ISLAMIC PATTERN Islamic Art Hands-On Interview by Valerie Behiery, Islamic Art historian, Ph.D. 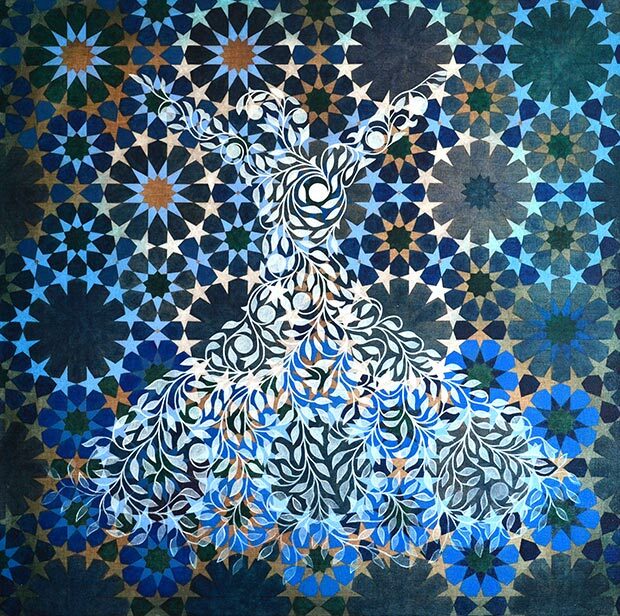 There is a resurgence of interest in the traditional Islamic arts. The difficulty for artists in Europe and North America who want to learn and master the arts of illumination, geometric design or arabesque is where to find such training. Adam Williamson and Richard Henry founded their London-based educational enterprise, Art of Islamic Pattern, with this challenge in mind. 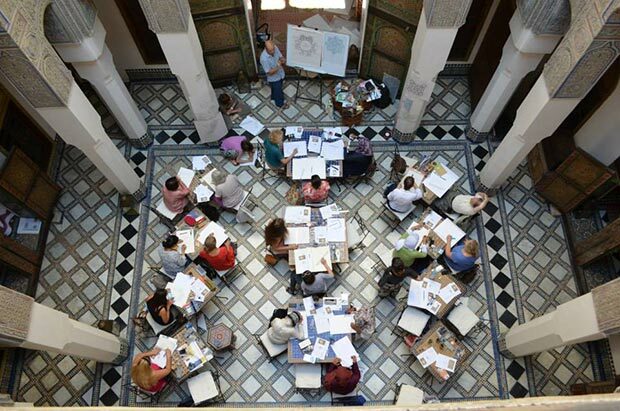 It offers a variety of courses catering to different age groups and levels in the London studio and around the world, as well as special study trips to cities like Istanbul, Fez, or Granada. 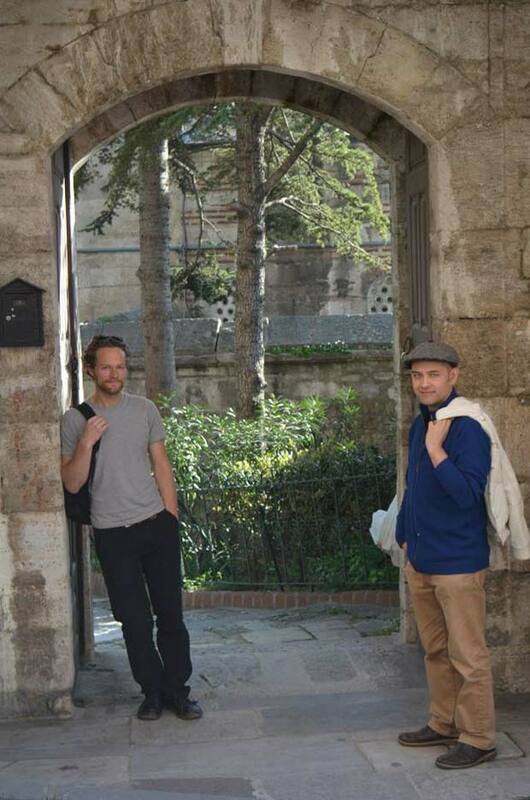 Williamson and Henry are both skilled craftsmen who understand the practical and philosophical aspects of Islamic pattern and design. And between them, they have taught at Birkbeck University, Cambridge University, the British Museum, Central Saint Martins, the Slade School of Fine Art and The Prince’s School of Traditional Arts where they both studied. Artists in their own right, they have each received commissions from notable public and private clients. 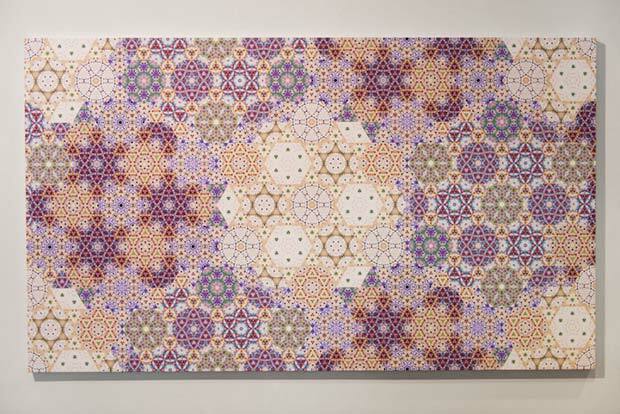 You established Art of Islamic Pattern in London in 2008. 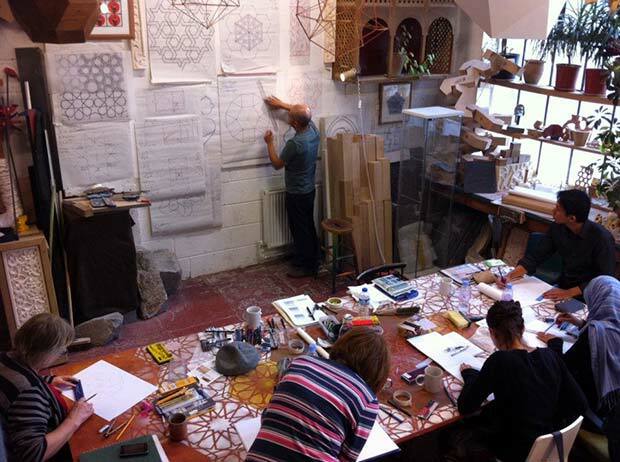 The Prince’s School of Traditional Arts (PSTA) is also now based in London. 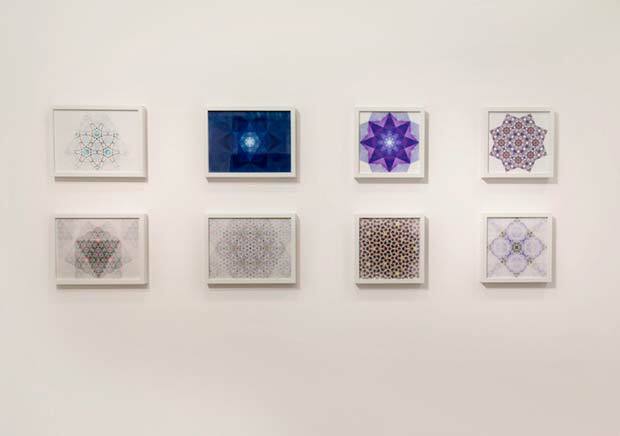 How would you describe the specific aim and focus of Art of Islamic Pattern? RH: Our courses have a specific focus upon the Islamic tradition. PSTA looks at the full sweep of world traditions. We are perhaps more with the public facing, in the sense that our courses are designed for the layperson, irrespective of background and we are not formally part of any academic institution. The PSTA is more academic in focus with courses for MA and PhD students. Many of our own students have gone onto study at PSTA. AW: The courses are primarily practical in nature. There are contextual slide lectures, but the rest of the time students are drawing geometric and biomorphic patterns by hand or with a compass and straight edge. 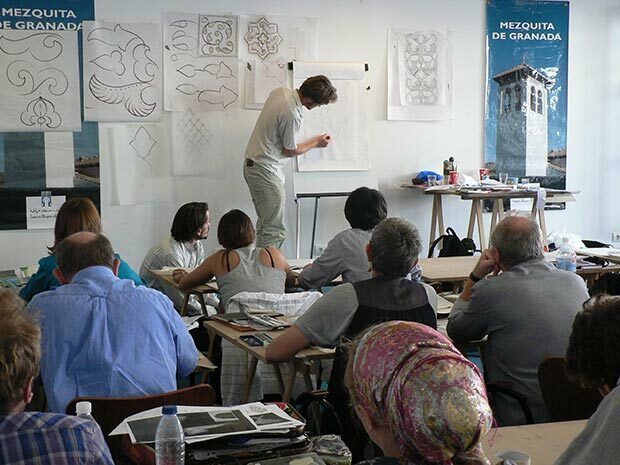 The final stages of courses and trips culminate with creating a work in a traditional medium. Both of you studied with Keith Critchlow, a master geometer and architect who believes in the universal or spiritual aspect of geometry. Is this also your approach? AW: Keith Critchlow was a great teacher who appeared in my life at the perfect time to connect the dots. His teaching methods seemed purely inspired and intuitive which gave his classes an enjoyable, unpredictable and dynamic energy. RH: Both of us regard the face-to-face teaching of geometry and traditional art as a form of transmission from master to student. We believe that there is a contemplative dimension to the practical work, which is embodied within the shapes and proportions used. These are the fundamental principles of sacred geometry. What is important for you in the teaching and learning of Islamic geometry? RH: Learning through doing is critical, it’s not simply about acquiring a critical analytical understanding of the designs. A sensitivity to the contemplative dimension of the work, both as a student and as a teacher, is essential. 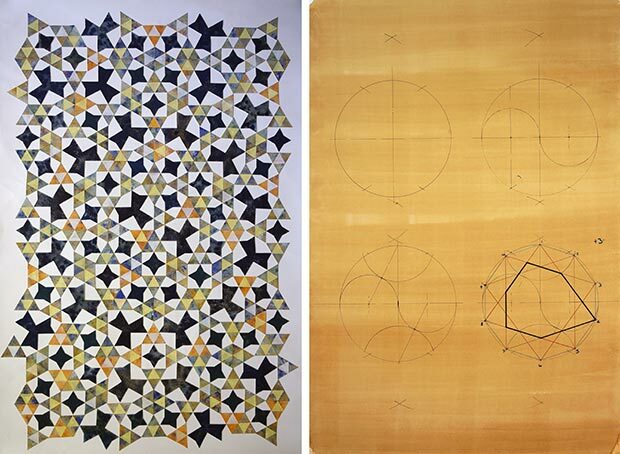 Many people who want to learn the Islamic art of pattern might be afraid to start for a variety of reasons. What would you say to these prospective students? RH: Our introductory courses and study strips assume no prior knowledge of Islamic art and are open to everyone. We generally have a mix of abilities on all of our courses and study trips. Our students come from a range of backgrounds and have a broad range of interests and motivations. Some are professional artists or designers seeking to develop a particular aspect of their work, others are from non-art backgrounds who are driven to explore the art and culture of the Islamic world more deeply and there are others who find themselves at a professional crossroads, and wish to change careers to something more creative and more personally or professionally fulfilling. You and the two other tutors, Lateefa Spiker and Sama Mara, are all practising artists who integrate Islamic pattern into your art in different ways. How do modernity and tradition come together in your art? AW: We don’t see tradition as something historic but view it as constantly growing and developing, a way to pass down skills and knowledge. This would have been the same view held in antiquity when various structures were developed to teach, for example the guild systems used in both east and west. With the industrialization of much of the world, these systems were lost. People today have an interest in understanding and experiencing these skills, which are now difficult to access. Maybe this is why there is a lot of interest in the courses we facilitate. Education is at the heart of what you do. You, Adam, have been involved with PSTA’s outreach educational projects, most recently –in partnership with Lateefa- , with the Ahousaht community on the coast of British Columbia in Canada. Could you say a few words about this project? AW: Yes, it has been a pleasure to teach on a series of outreach programs for PSTA. It was a particular highlight to work with the First Nation community of Ahousaht. I have been interested in West Coast art, especially the cedar carving, since I was a teenager. The aspiration for this project was to allow a wider and deeper sharing of traditional knowledge through the direct language of nature, which informs art, number and geometry. The First Nations have an active relationship with nature. Experiencing and hearing about their rituals and remedies and how they are successfully applied to daily life has been an uplifting education for both myself and Lateefa. The practical outcome of the three trips was a series craft projects, all using cedar. Cedar has always been seen by the locals as the tree of life. It is used to make cloth and rope and used in house building as well as for artwork. For the first project, we created a series of paintings on woven cedar bark. For the second project, we built a 14×24 foot cedar dome and, for the final project, we carved 50 cedar boards that were installed as part of the Flores Island Wild Side boardwalk trail. 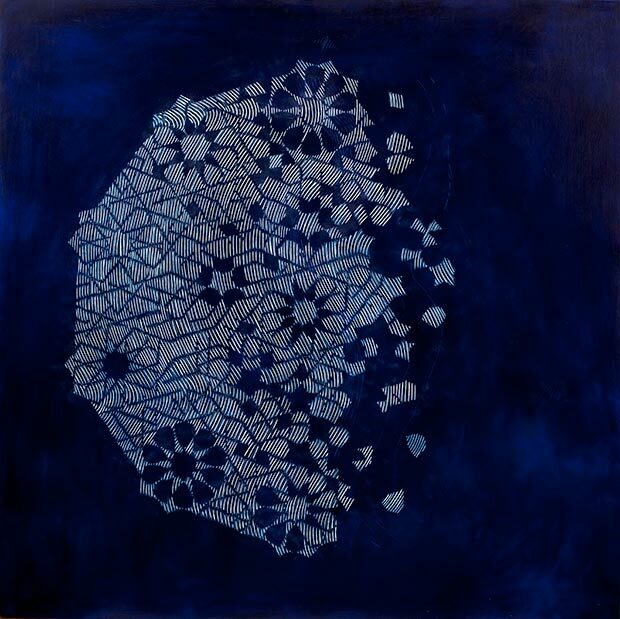 Next Post → AN INTERVIEW WITH THE ARTIST Connecting Worlds: The Art of Maїmouna Patrizia Guerresi Interview by Valerie Behiery, Islamic Art historian, Ph.D.